Not every time, but quite often when I visit the Dollar Tree on Sixth Avenue in Tacoma, I purchase a bag of Brach’s Maple Nut Goodies. Memories fade, but I seem to recall them available by the pound at Woolworth’s in downtown Tacoma in the early 1950s. They always looked interesting. 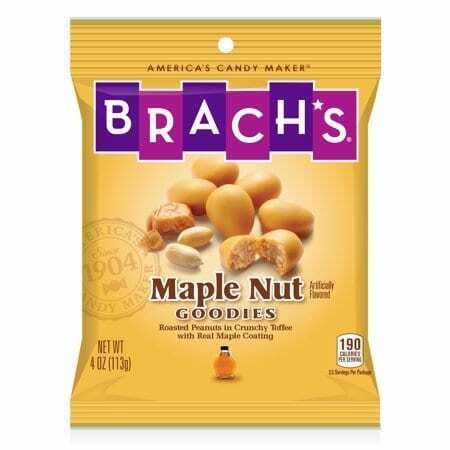 Here is how Brach’s described them, “These goodies feature roasted peanuts nestled in crunchy toffee. But it’s the maple coating made with real maple syrup and added flavors that’s the star.” The package shows a 1904 stamp, but I think the ones in the stores are fresher than that. Quite often when I visit the Dollar Tree on Sixth Avenue in Tacoma, I purchase a bag of Brach’s Maple Nut Goodies. Maple Nut Goodies are the color of khaki tan like U.S. Army summer uniforms from WWII. They have kind of a waxy marzipan texture to them. 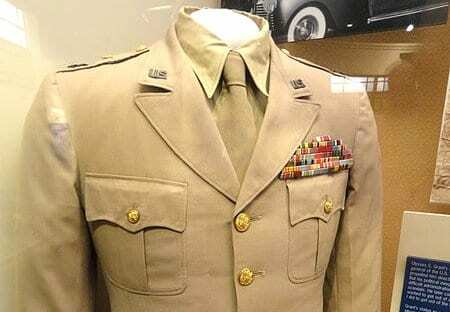 I don’t know if General Eisenhower ate Maple Nut Goodies, but his uniform pretty much matches the candy color. 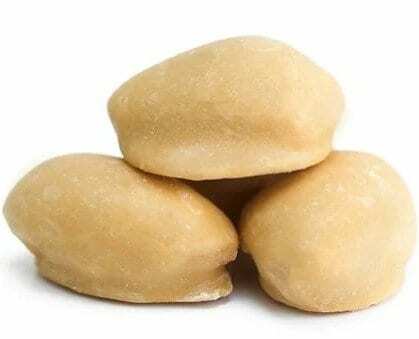 Maple Nut Goodies are the color of khaki tan like General Eisenhower’s uniform from WWII. They are not like peanut brittle, but they are tough . . . not rock hard . . . maybe sandstone hard. I wouldn’t suggest them if you have loose teeth. Your teeth sink into the covering a little bit and then you crunch through the tasty center. I usually eat them two at a time. I think they’re are good exercise for the teeth. It is my belief that they give the jaw such a good workout that you can lose weight by eating them . . . of course, I could be wrong. They are not like peanut brittle, but they are tough . . . not rock hard . . . maybe sandstone hard. I think there’s a dozen pieces in the bag . . . one bag lasts me until I arrive home. It just depends upon how many stop lights I hit. Professional writers and authors. Ideas and Training - Human Resources/business training products for modern business. PublicDoman - Video production, internet video, website construction and online marketing and social media. NW Adventures - Fun places to visit in the Pacific Northwest: Great Restaurants, Lodging, and People. The Doman Directories - Business directory listings for many categories in Tacoma, Pierce County, and Washington State. FindItWashington - Local search engine for Washington State. They were my grandma’s favorite candy and therefore became one of mine. These are memory provokers for me so I also buy them once in a while. They can be addicting though, right? Nice to know that someone else enjoys these very different kind of treat, but then I guess there are more folks than us, considering their staying power in the stores! I have memories of being almost giddy when I would be given a nickel or a dime to walk to Dorette’s candy store on STW. My selection would usually be a candy we kids used to call “seafoam”. I would show the lady I had only a nickel or dime and she would carefully find a piece to weigh to make certain I got the right piece for my money! I quickly walked past the Maple Nut Goodies yesterday at Dollar Tree . . . I went for a mailing pouch and tried to stay on point. It is nice to see that others enjoy them also. It’s rare to get good news, but you can always count on a good chew with Maple Nut Goodies. I think Dorette’s was a stop before hitting the Starlite with my buddies. I think Johnson’s Candy on MLK in Tacoma as Sea Foam . . . just saying . . . Thanks, again for reading and enjoying.